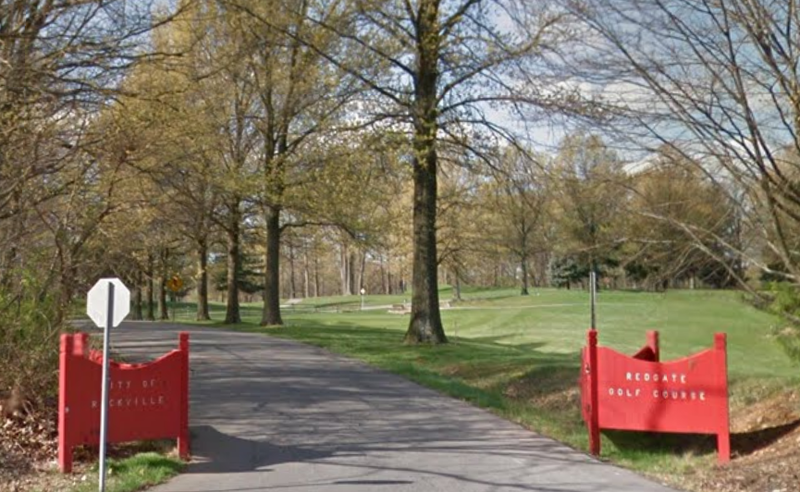 The controversial issue of whether to retain Rockville's public RedGate golf course, or redevelop the site, has come to the surface again. A discussion of the topic initiated by Councilmember Mark Pierzchala late Monday night ended with the Council voting 4-1 to direct City Manager Rob DiSpirito to assess the golf course property's potential for redevelopment, and conduct a fiscal impact study of the different options. Mayor Bridget Donnell Newton cast the lone vote of opposition. Pierzchala also made a motion to have the City examine its contract with course operator Billy Casper Golf, to see if it can be terminated, citing inadequate maintenance as a potential legal justification to do so. Mayor Newton said she has observed substandard maintenance of the property while playing golf at the course in recent years, and joined in the unanimous vote approving Pierzchala's motion. In bringing up the matter of RedGate, Pierzchala said he was approached by an unnamed developer, who asked if the golf course was for sale. Pierzchala said he replied that it was not, but that the developer was clearly eager to build residential housing on the land. Pierzchala initially proposed studying a plan that would redevelop RedGate as City-operated athletic fields (soccer fields in particular), and residential housing consisting of townhomes and single-family homes. An unspecified portion of the parcel would be "returned to nature." After Newton and Councilmember Beryl Feinberg questioned why the study would only look at that specific mix of land-use options, Councilmember Virginia Onley proposed a successful amendment - adding the phrase "including, but not limited to," to Pierzchala's initial language. Newton supported that wording, but still voted against the study. While - again - the developer was not identified, the "win-win"-style PR talking points, land acquisition choice, and housing types certainly sound like EYA. That developer has just recently offered a similar plan for the Montgomery Women's Cooperative Farm Market in downtown Bethesda, and successfully received approval of a comparable non-Metro-oriented development with the same housing types near Tower Oaks. Of course, EYA is not the only townhome developer in the region, so we'll have to wait and see. But the Spider-Sense is tingling. The National Golf Foundation is expected to release a report on RedGate in January, which will tell city officials what it will take financially to bring the course up to standards. But Pierzchala said he didn't want that to end up being the sole discussion, and would prefer to have parallel discussion of other uses of the site, as well as Billy Casper's alleged default on its contract with the City. Feinberg pressed for hard numbers on what the expense and potential revenues of every option would be. Pierzchala said he didn't need completely accurate numbers to move forward, and that ballpark estimates by staff would be sufficient for the decisions that need to be made. "We will do our best," DiSpirito told the Mayor and Council. He estimated that an in-house analysis, without hiring outside consultants, could be completed by early January. That would be in time for the NGF report on RedGate, which is located at 14500 Avery Road, off of Norbeck Road. I played there earlier this year and it was a cow pasture, damn near unplayable. Al Czervik would have had a field day with this dump. Golf has been dying a slow death for years. 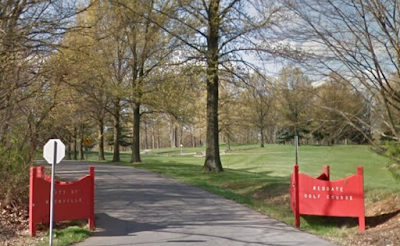 Better to find something else to do with Red Gate and allow the surrounding MoCo courses a chance to pick up Red Gates regulars and become more solvent.